Learning sales can be very challenging, possibly even harder than coding in some respects. If you don’t believe me, then there is a good chance that you have probably never sold anything and should probably take a look at our free online sales bootcamp. 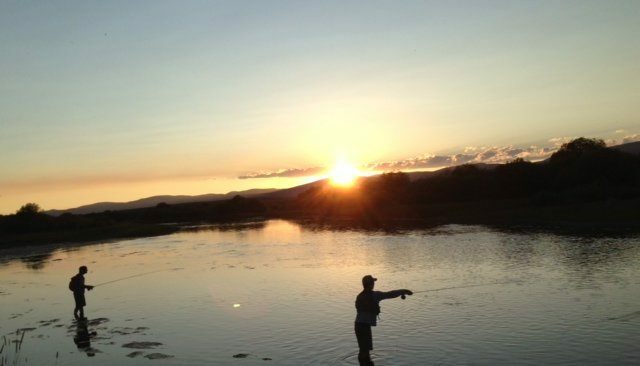 Similar to fly fishing, mastering programming takes a lot of time, practice, and patience. Learning sales principles, on the other hand, can be done quickly, but it takes determination, great mentors, and knowledge of the core sales fundamentals. Most importantly, it requires a unique sense of humor because you hear many resounding “no’s” daily. Just as no one is born a skilled developer, nobody is born a great salesperson. People ultimately succeed at sales by having a supportive network of mentors and by learning the proper techniques and skills to increase productivity. If you are looking to start your career and potentially join a startup, I encourage you to use your free time to learn coding fundamentals but begin your career with sales because it teaches you how to fail often and gracefully. Over the past few years, there has been a huge proliferation of coding bootcamps across the country. Knowing how to code is an important hard skill to have, and you can make a great living as a developer. While coding has definitely become increasingly important, there is a clear distinction between being a full-time engineer and understanding the coding basics as any entry-level developer. Becoming an actual software engineer take years of work experience, leading teams, and building various products. I support individuals who want to become developers, but what if a future engineer doesn’t want to take orders in a scrum his or her whole life? What if someone is the best technical founder but can’t articulate what he or she has built or properly represent the company during calls to acquire first customers or even fundraising? Over the past years at various early stage startups, I’ve seen that engineers typically don’t see the value in salespeople, and sales teams don’t take the time to truly learn the company’s product and basic coding framework. The core of this historic internal divide within companies is quite simply laziness. I myself am guilty of this laziness. I had worked in sales-oriented roles for six plus years before I actually took the time learn how to code. Take my advice, save yourself years of frustration, and become a better sales person by learning the coding basics from great resources like this programming for non-programmers class from One Month. It helps salespeople become more tech-focused and enables you to understand basic engineering product issues. Learn this stuff, and I promise your sales numbers will rise, and you will become better friends (and ultimately more productive) with your product and engineering teams. If you are just starting your career and really want to get into startups, push yourself to try sales first, with the caveat that you will commit to learning basic coding skills, too. Sales or a sales bootcamp will get you over the fear of talking to new customers, reward you with cash for your hard work, and hopefully let you meet great mentors along the way as you start your career.